Four of my high school students arrived at my home last Sunday, ready to travel down the road with me to another flute adventure. While I took just a few minutes to gather my sunglasses and a few other last-minute items, they found it impossible to wait another second to dive into their snacks and drinks. They sat around my kitchen table munching on the candy, chips, cookies, and Cokes they’d brought along. My husband, a health-conscious physician, observed them with great amusement. “Hmmmm, I see you brought along all of the four nutritious food groups,” he remarked with a smile, “sugar, fat, salt, and caffeine.” They paused long enough to stare at him blankly for sharing this irrelevant and totally boring information. “OK, time to go!” I said. We went outside to my car, where the three girls determined that the only boy should sit up front. I wasn’t paying too much attention to the negotiations, but I didn’t hear much protest from him. We took off for Winston-Salem, a drive of one and a half hours, on what was a perfect, sunny Carolina day. 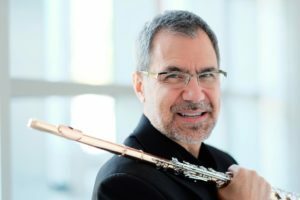 We were headed to the home of Dr. Tadeu Coelho, the flute professor at the North Carolina School of the Arts, who was going to give us a private masterclass. These four students, two seniors and two sophomores, had signed up, and they were excited. As they continued munching, crunching, and slurping along the interstate, we listened to a CD of Holst’s The Planets that one of them had brought along. 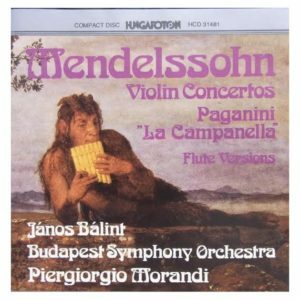 After that, I popped my copy of Hungarian flutist Janos Balint playing the Mendelssohn Violin Concerto on flute, probably the most amazing flute CD I own. The reaction in the car was a hushed “woooooow.” I was struck by how enthusiastic, how deeply in love with the flute these kids are, with their hunger to learn and the true pleasure they derive from encountering glorious new facets of the flute. Tadeu and his wife Irna welcomed us so warmly into their home that we felt immediately comfortable. My students and I loved being greeted by their two little dogs, and we were most impressed, captivated, and entertained by 8-year-old Lucas, the spitting image of his dad. Lucas was as friendly as he could be, and he set up an entire art gallery of his fine paintings for us to browse through. He was adorable, and my students are still, two weeks later, talking of him with affection. Our class took place in Tadeu’s spacious downstairs studio, where he spent a generous amount of time with each student. His ability as a teacher is phenomenal. He worked on different elements with each student, so that the class as a whole covered a wide variety of topics. For each point he touched upon, I saw the observing students trying it out on their own flutes as well. His ability to elicit positive change in tone, expressiveness, and technical ability in a short time is amazing. He uses a variety of teaching techniques and methods that are clever, unique, and highly effective. I gained so much as a player and teacher by observing him. He showed us how he practices scales while walking on a treadmill. “It saves time,” he told us. “It makes your workout harder, and it mimics how you feel when you perform while nervous and you think you have no air.” He took photos of each of the students’ embouchures and uploaded them to his computer. He analyzed each one in detail and compared them to embouchures of many of the great past and present flutists, all of whose embouchures he had kept on file. Fascinating! He performed for us, graciously inviting our most advanced student, Martha Long, to play in unison with him. She kept up with him … part of the time! After our class, Irna and Tadeu served us pizza and cookies—how kind and thoughtful! We had time to chat and get to know each other. It had become dark and stormy when we finally left for home. Immediately, out came the snack bags. The fact that we’d just had dinner seemed to be quite irrelevant. My heart overflowed with love for these four fabulous young adults who had just taken a masterclass with such maturity, intelligence, and good manners toward the teacher. They had shown such consideration and support for each other, and they had displayed such beautiful flute playing. I adored watching them be the teens that they still are. The first 20 or 30 minutes of conversation were filled with exclamations of how great the class was. T and G refers to 17 Big Daily Finger Exercises for the Flute by P. Taffanel and P. Gaubert. 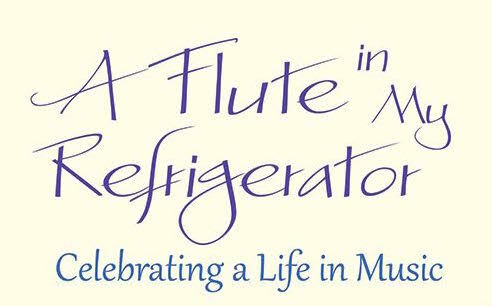 This story appears in Helen’s popular book A Flute in My Refrigerator: Celebrating a Life in Music, available at Carolyn Nussbaum Music or Amazon. Helen Spielman has been an inspiring voice in the field of performance anxiety and flute teaching for three decades. 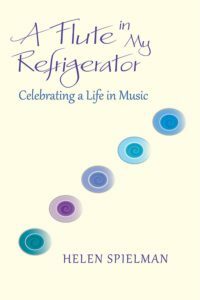 She has taught countless musicians to take the excellence they produce in a relaxed practice room to the high-stakes arena of auditions, recitals, and pressure-cooker orchestras. Gently tackling subjects such as positive self-talk, mental visualization, and self-compassion, Helen has guided musicians who, having been ready to quit their careers, regain their original love of music and return to the stage with joy. 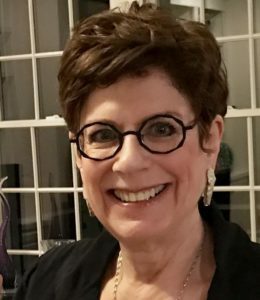 Helen Spielman has taught at international conventions, prestigious music conservatories, music festivals, and private studios in Africa, Europe, Central America, and thoughout the US. Her articles have been translated and published around the world. She was the first professional to develop an annual weeklong performance anxiety workshop for flutists, at Wildacres Flute Retreat. Helen was appointed a Fulbright Senior Specialist in 2010, and is a Distinguished Honorary Member of Sigma Alpha Iota, the international music fraternity. This was such an amazing group of students and a great friend. I had a wonderful time. Wonderful memories. Thanks for sharing. Love. Gorgeous recounting of a day worth remembering! Thanks for sharing, Helen!